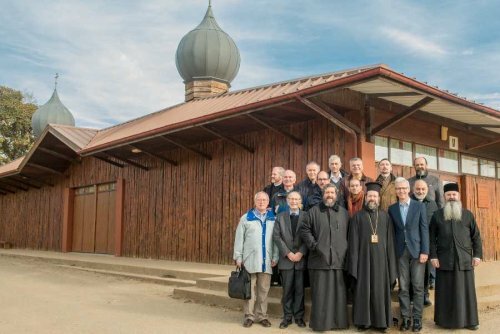 The Saint Irenaeus Joint Orthodox-Catholic Working Group gathered from 2 to 6 November 2016 at Taizé. The meeting was chaired by Archbishop Job (Getcha) of Telmessos. Brother Alois welcomed the group at the opening session. Throughout the meeting, the members of the group attended the common prayers of the Community and shared a meal with the brothers. The Divine Liturgy was celebrated on Friday and Sunday in the village church. After the meeting, a press release was issued in English and in German.